The neighbouring dog was barking at cars passing by but Avah, from Glanmire Co Cork, thought he was too loud and had something to say. The classic moment was captured on camera by her aunt Amanda Varian-Bullman during a visit to Avah's grandparents'. Ms Varian-Bullman spoke to Independent.ie and commented on her niece's accent: 'We do not know where she has picked up that Cork twang but it is sticking around we think'. 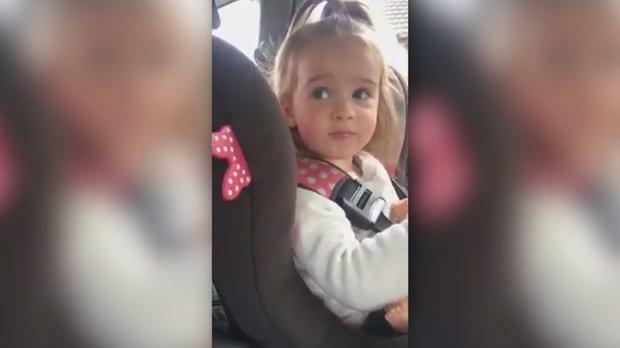 It's the most adorable video you're likely to see this week.